…while you also focus on growing your business! #1 – They felt like they didn’t have enough experience to work with groups. #2 – They felt like they needed to grow their 1-1 business first. Form a Mastermind Group with peers focused on growing your businesses! One of the big challenges faced by the solopreneur coach is the isolation that comes from working alone. An excellent way to mitigate this issue is by participating in or forming your own Mastermind Group. I like to define a mastermind group as two or more people who come together to support each other in achieving a desired goal or outcome. – You have a group of people who are committed to helping you succeed. – You receive support, encouragement and inspiration as you move forward towards your goals. – You become more focused as your mastermind can help hold you accountable. – You can test out your ideas and receive valuable feedback and other perspectives. – You can tap into the resources, knowledge and connections that the other members bring to the group. – You can develop powerful long-term business relationships and friendships. Option #1 – You can join a paid mastermind group with a dedicated leader/facilitator. Option #2 – You can co-create a mastermind group with your peers as a way to mutually support each other. For the purpose of today’s article, we’re going to focus on Option #2! 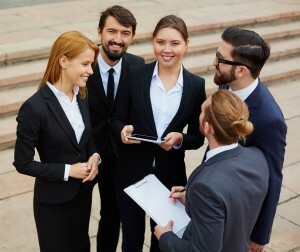 In an unpaid mastermind group of peers, you are co-creating it with the other members, which means you have the ability to influence who is in the mastermind, how it is structured, etc. 1. Clear Focus – You need to be clear about the purpose of the mastermind and ideally, the members should be focused on similar goals and objectives. 2. Structure – As the mastermind is forming, you need to decide how often you will meet, how long the meetings will be and whether you will meet in person or by phone. After you determine the structure you need to stick with it, which includes starting and ending on time. 3. Time Frame – It’s important to set an initial time frame for the mastermind and have all members commit to participating for that period of time. This can be as short as one month or as long as a year. At the end of the initial time frame, evaluate if the mastermind will continue. => Start with a check-in or win from each participant. => Masterminding time. Either each member receives equal “mastermind time” during every meeting or you can have have rotating “mastermind time” with the focus on one or two members. => Conclude with take-aways and next steps/action item commitments. 5. Leadership – In order for the mastermind to run well, there needs to be some type of leadership. This can be one person for the duration of the mastermind, or you can have rotating leaders. Leadership responsibilities can include officially starting the meeting, facilitating the meeting, documenting action-items to help keep members accountable, and sending a reminder before and a post-meeting summary afterwards. Over the years, I have participated in several different masterminds. One that was particularly successful was co-created by 6 of us after attending a San Francisco Coaches meeting. We met in person once per month for nearly 3 years. We now meet far less frequently, however our bonds and connections are stronger than ever. If you’re not already, I strongly encourage you to join or create your own mastermind group. The support, accountability, resources and connections are tremendous and can literally change your business and life.